Made in the USA by a professional woodworker, this razor sharpener gives you like-new blades in a few swipes—extending the lifespan of your cartridge up to seven times. 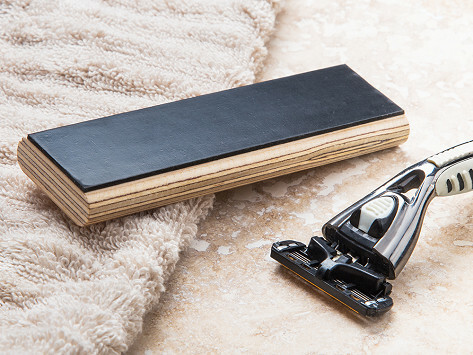 Get 35 to 40 shaves from a standard razor and slim down the number of blades you need to toss. Dimensions: 5.12" x 1.625" x 0.5"
This is a great product - it works as promised! I'm on week three of a blade instead of changing after 7 days. It will pay for itself easily. This Made in the USA razor sharpener keeps your blades like new in just a few swipes. Hone Alone was created by professional woodworker Keith Brandman. Keith’s passion for green solutions, together with over four decades of sharpening chisels and plane irons, informed his final design. 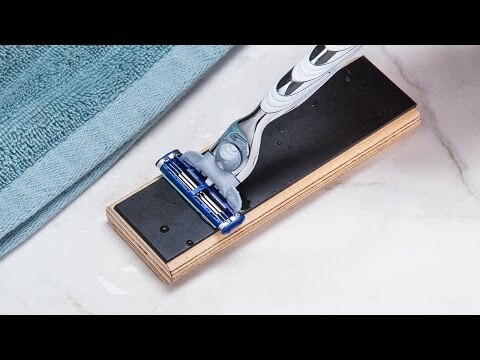 Your blades will live five to seven times longer by wetting and sliding them against the honing pad—opposite to the direction you shave. You’ll be getting 35 to 40 shaves from your run-of-the-mill cartridge. This daily hack is kind to your wallet and the environment.